Oracle-based drug traceability in India, Chinese vaccine scandal, Cambodian importer under fire and Nigerian app prize. The National Institution for Transforming India (NITI) has partnered with tech giant Oracle and India’s Apollo Hospitals chain to pilot a blockchain-based traceability platform aimed at eliminating counterfeits and preventing fraud. 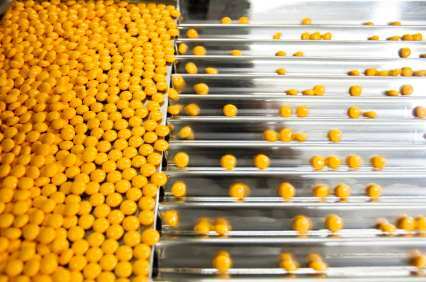 The system – described as extending “from manufacturer to consumer” – is also expected to increase efficiency in the delivery of medicines, according to the NITI. China has asked the head of the China National Drug Administration (CNDA), Bi Jingquan, to resign in the wake of a vaccine scandal centred on falsification of production records and substandard manufacturing at Jilin province-based Changchun Changsheng Bio-technology Co. Three other CNDA officials are facing punishment and some 40 staffers from local and national regulatory offices are in line to lose their jobs, according to local press reports, which say the head of the Changchun Food and Drug Administration, Tang Ruodi, has also been removed from his post. Phnom Penh company Reaksmey Sour is under scrutiny after more than 69,000 packs of counterfeit and expired medicines were discovered at the drug importer’s premises, according to vocambodia.com. There are suspicions that the facility was packaging fake medicine and changing medicine expiry dates, stockpiling and distributing counterfeit and expired medicine, distributing medicine without legal permission and operating a company without complying with the law, says the report. The owner of the company was detained last week in connection with the matter. Five teenage girls from Nigeria have won the junior division of this year’s Technovation awards in Silicon Valley for FD-Detector, an app that could be used to detect counterfeit medicines. The girls – Team Save-A-Soul – say they hope to partner with Nigerian drug regulator NAFDAC to create a database of certified pharmaceutical products. The app uses a drug's barcode to verify its authenticity and expiration date. Viewpoint: India’s serialization proposal for pharma is a bad idea. Here's why.